Looking to buy a wooden desk chair with a soft seat? 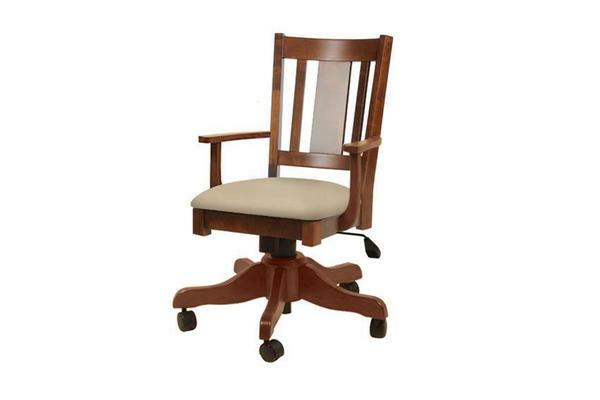 Our Benito Gas Lift Desk Chair is the chair for you. This chair combines wood and fabric to create a beautiful looking chair with a comfortable seat. Like all of our other office furniture this chair is handcrafted by an Amish woodshop from solid wood and delivered straight to your door. If you have any questions give us a call at 1-866-272-6773.